When our plane touched down at 8am in Barcelona the first thing that I wanted to do was make a beeline to La Boqueria, the recently restored and restocked public market in the heart of the city. Filled with vendors selling raw and prepared foods, glistening fish, octopus, and barnacles fresh from the Mediterranean, and ridiculously indulgent Spanish jamón, La Boqueria is a perfect place to have a quick and hearty gourmet meal, counter-style, so that you can keep on moving and see as much as possible of this amazing Catalan city. We had a lovely plate of foraged wild mushrooms, sautéed in olive oil and topped by a fried egg, a small caña of beer, and some bread before taking in the beauty of the Antoni Gaudí designed Casa Battló. 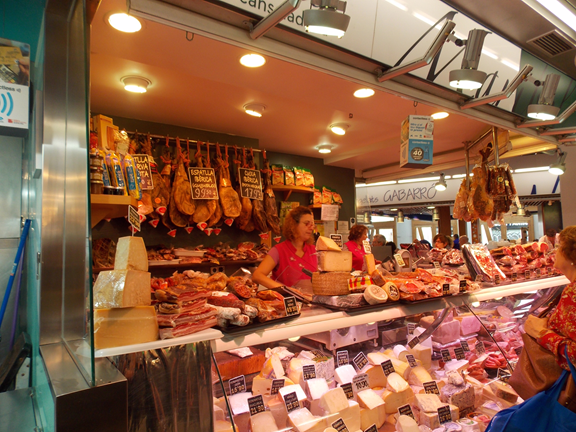 A cured meat and cheese stand in La Boqueria, the premiere public market in Barcelona. We had such a fun-filled day in Barcelona that we barely made it to the magnificent MV Tere Moana for our sail away at 6pm that first night. I was very glad that we did arrive in time because the itinerary, which included Mallorca, Ibiza, Granada, Sevilla, Gibralter, the Algarve, and Lisbon, was fantastic. Of the five different cruise ships that I have enjoyed sailing on as a faculty host with Penn Alumni Travel, the MV Tere Moana was definitely the most elegant and intimate. With staterooms for less than 100 guests, it was very much like traveling on a private yacht. The ship’s charming and well-trained staff attended to the needs of each traveler individually. By the second night Jonny, the bartender knew my preference for a little Tio Pepe sherry before dinner and Macallan for afters, and by the third he was beginning to make suggestions of custom cocktails that I might like to try. And with drinks being all-inclusive, why not? Our home for the week, the MV Tere Moana, was patiently waiting for us in its berth in Barcelona. Well, the very busy itinerary on this trip was a good reason not to indulge too much. Each day was filled with a morning excursion, lunch back on the ship, and then another afternoon excursion followed by just an hour or two of downtime before a lovely dinner. The tour directors from Gohagen kept everything running smoothly and the local guides at each destination made sure that all our questions were answered, from which medieval people had occupied that fortification overlooking the Atlantic in the Algarve region of Portugal, to where to buy the best souvenirs in lovely Mallorca. 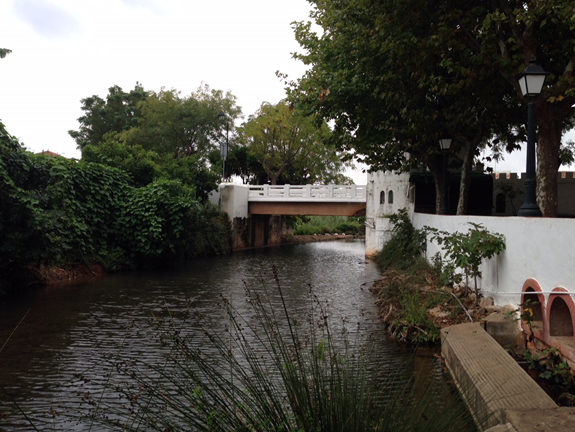 The Portuguese Algarve region is home to lovely old villages and fortifications. And Mallorca, truly the pearl of the Mediterranean, was the highlight of this trip for me. 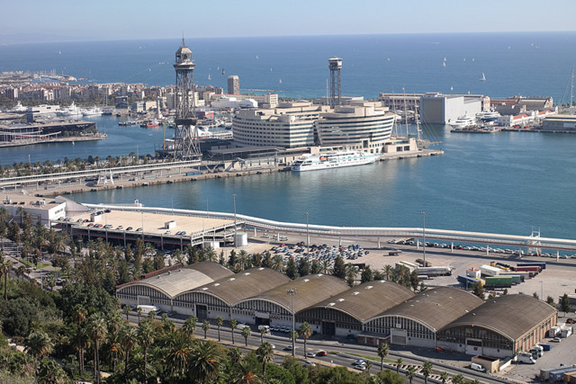 This was the first time that I had visited this delightful, continental-flavored Balearic island filled with gorgeous nineteenth century architecture and an endless harbor jam-packed with enormous yachts. I could have spent the whole week in Mallorca sitting in cafés, drinking coffee and eating lovely pastries. Almost as satisfying as Mallorca were the stunning cliffs of Gibralter, alive with wild monkeys and riddled with natural caves and military tunnels. 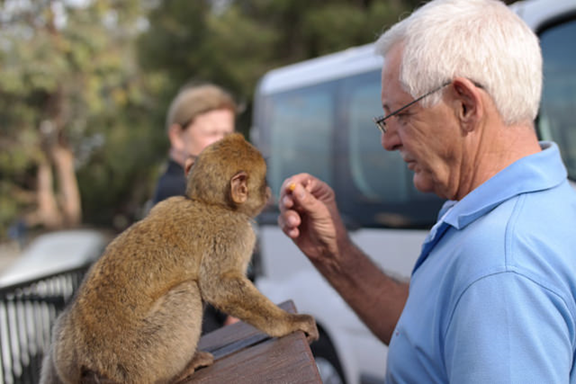 I was surprised by how happy the monkeys made me, they were just so cute and funny and absolutely everywhere — climbing on the parade of minivan taxis that snake up and down the side of “The Rock” ferrying tourists to the various attractions that are only reachable via closed roads. 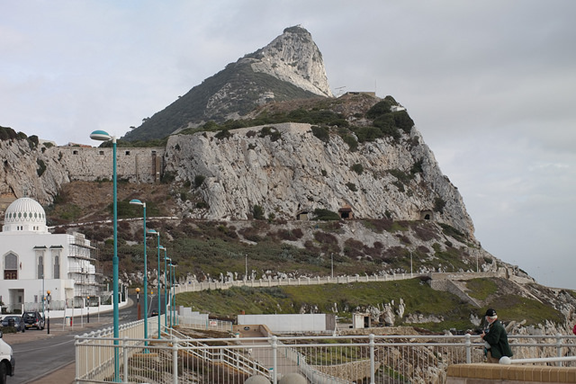 As a part of Great Britain with a special economic status, Gibralter was the spot to get a plate of fish and chips and also the best deals on duty free, which seemed to be the main attraction down at sea level. The monkeys of Gibralter are surprisingly fun to watch.